​Every school that works with the initiative receives ten weeks of weekly fencing sessions alongside immersive Maslaha workshops exploring identity and self-expression, and challenging stereotyping. ​The project involves collaborating with exciting artists, from film makers to theatre practitioners, to work with participants to find new and creative ways of expressing themselves and documenting their journey. 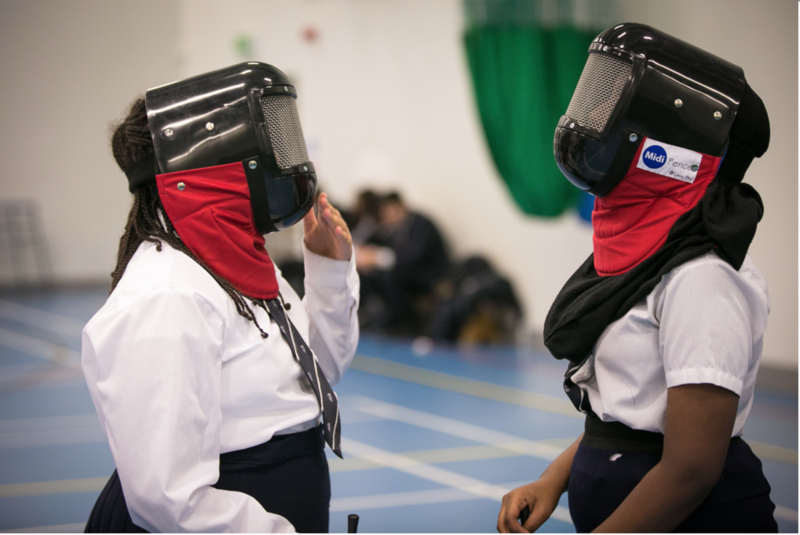 ​Participants have the opportunity to gain leadership qualifications accredited by British Fencing and start their own community or school-based fencing clubs. "When I fence, I take a step forward to lunge at my opponent, I also think that it is what you do in life. You step forward to get what you want." Raising aspirations among Muslim girls is particularly important in the current climate in the UK where Muslim women face strong negative stereotypes and inequalities. Fencing has been shown to attract young people who may not typically be involved in sports and offers an exciting opportunity to open doors for participation in physical activity to young women who may dislike other sports.